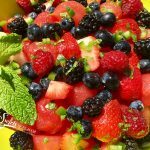 Jalapeno Peach Salsa is an easy summer recipe filled with sweet peaches, juicy tomatoes, a touch of jalapeno heat and zesty lime. 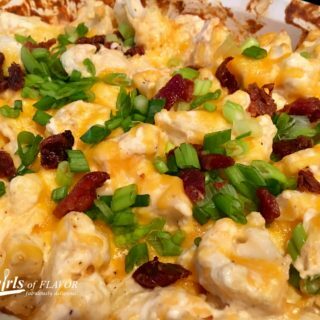 Serve with tortilla chips, over grilled chicken, beef or seafood or with your favorite taco! 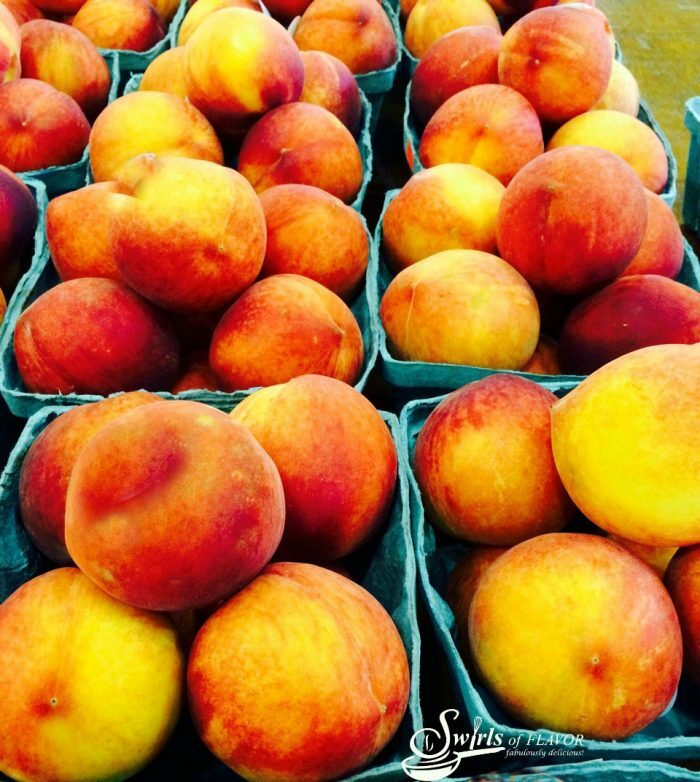 Welcome August and National Peach Month! 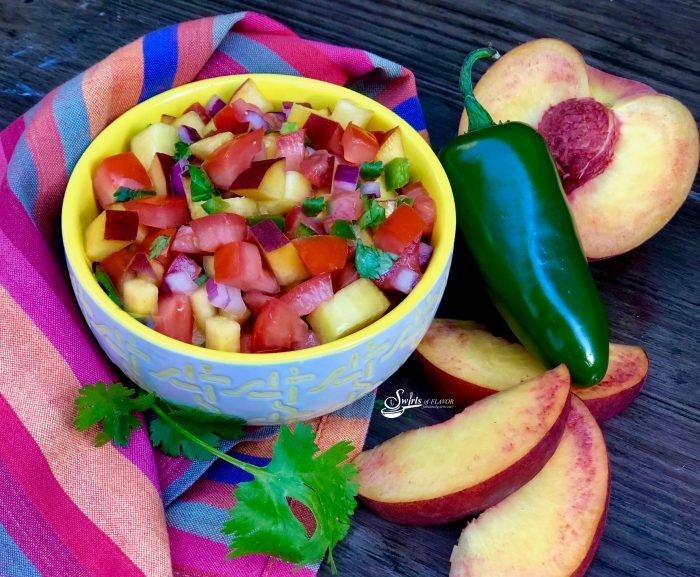 With bumper crops of peaches and tomatoes at the farmers market, Jalapeno Peach Salsa is a no-brainer on your summer menu. Filled with sweet peaches, juicy tomatoes, a touch of jalapeno heat and zesty lime, Jalapeno Peach Salsa will taste amazing served with tortilla chips, over grilled chicken, beef or seafood or with grilled vegetables. And, of course, this sweet peach salsa will turn any taco into a summertime favorite. Here’s to August and #NationalPeachMonth! The glorious peach. Sweet. Juicy. Sun-kissed with a heavenly aroma. Peach season is in full swing and my taste buds are jumping for joy! Did you know these facts about the fuzzy peach? The peach is a stone fruit. Peaches have a dominant gene that produces the fuzz on their skin. Peaches originate from Northwest China and can now be found in many parts of the world. There are over 2,000 varieties of peaches. Peaches are low in saturated fat. Peaches are low in cholesterol. Peaches are a good source of vitamin A, beta-carotene, vitamin C, vitamin E, vitamin K, vitamin B1, vitamin B2, vitamin B3, vitamin B-6 and folate. A large peach is only 68 calories. Peaches contain 2.6 grams of fiber and 1.5 grams of protein. 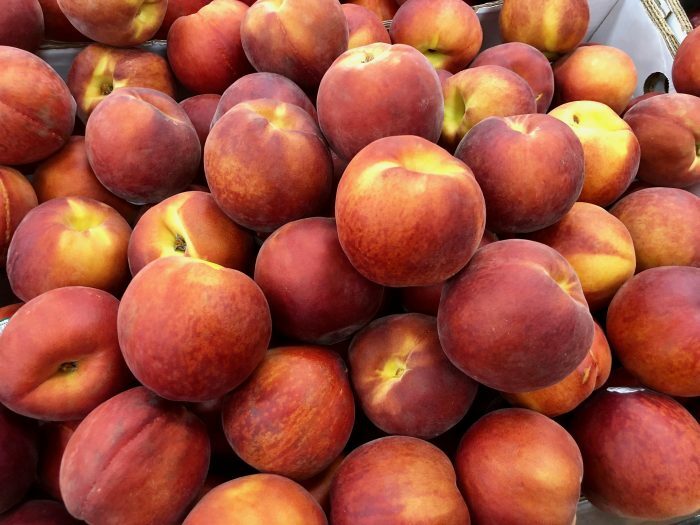 Peaches offer many minerals including calcium, copper, iron, manganese, magnesium, potassium, phosphorous and zinc. Peaches are a nutrient-dense food. Georgia is known at “The Peach State”. 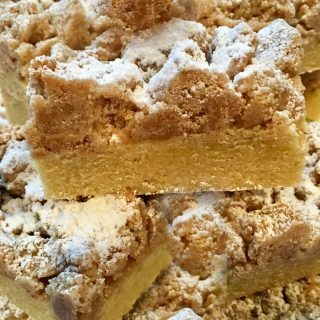 The World’s Greatest Peach Cobbler is made at The Georgia Peach Festival every year, measuring 11 feet by 5 feet and contains 75 gallons of peaches. Now that’s a lot of cobbler! Peaches are best from June until the end of August. 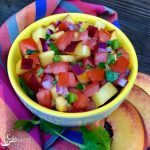 Once you’ve made this summer peach salsa recipe you’ll want to add peaches to so many more recipes. 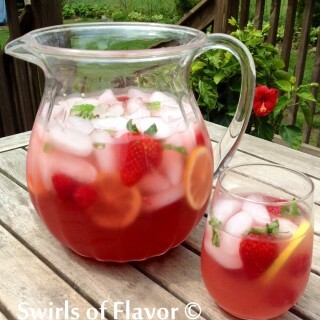 It goes without saying that this luscious summer fruit tastes amazing on its own and it is also the perfect addition to so many recipes including Peachy Plum Sangria , a white sangria filled with juicy sweet peaches and luscious plums and I guarantee you’ll savor every sip of this easy summer drink recipe! Combine two favorite summer fruits, blueberries and peaches, for a fabulous side dish of Blueberry Peach Orzo , a lime-kissed orzo pasta is studded with fresh juicy peaches and succulent blueberries. 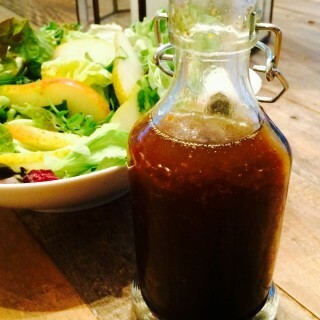 Tender peppery arugula leaves offset the fruity sweetness creating a perfect balance of flavors. And you can turn your sweet peaches into a savory dinner when you fire up the grill with Grilled Chipotle Chicken N Peaches. Grilled chicken breasts and peaches are seasoned with a hint of chipotle spice and glazed with sweet chili sauce for a sweet and spicy summer dinner! Peaches in a dessert is a classic way to enjoy this stone fruit. Blueberry Peach Pecan Crisp is bursting with juicy fruity sweetness smothered under a buttery sweet cinnamon topping. 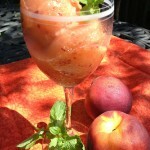 Spiced Rum Peach Lemonade Sorbet, a homemade peach lemonade that’s frozen to perfection is the dessert I love when it’s time to cool off on a warm summer evening. But I’ll never turn down a bowl of homemade no churn Peaches N Cream Ice Cream made with fresh peaches and a hint of vanilla. My award winning Bourbon Peach Cheesecake Mousse will be a winner on your table too! A pecan graham crust and Bourbon peaches give this no-bake cheesecake mousse recipe it’s southern flair! 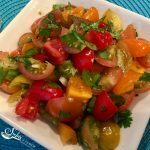 Filled with sweet peaches, juicy tomatoes, a touch of jalapeno heat and zesty lime, Jalapeno Peach Salsa will taste amazing served with tortilla chips, over grilled chicken, beef or seafood or with grilled vegetables. 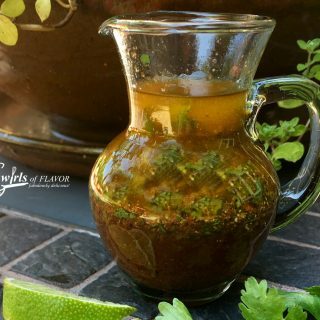 And, of course, this salsa will turn any taco into a summertime favorite. Combine peaches, tomatoes, jalapeno, red onion, cilantro, lime juice and kosher salt. 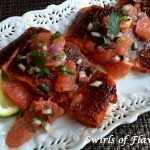 Serve with tortilla chips, over grilled chicken, fish or beef or with grilled vegetables! How delicious, Gwynn. Thank you! I made the jalapeno, peach salsa. I used a nectarines instead, it was very good. 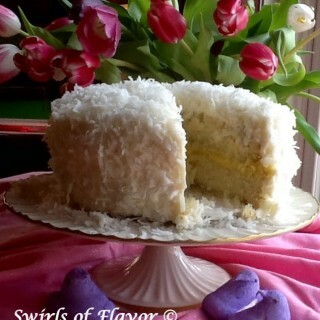 I will recommend this…yummy!